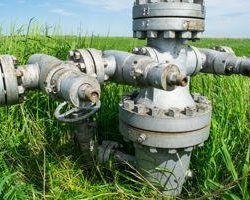 Having a private well comes with a number of benefits. First, you don’t have a water bill to worry about, and as long as you don’t run your well dry, you can use as much as you want at no cost. And f you don’t want the water treated with potentially harmful chemicals, you don’t have to. You can filter or not filter as you choose. Plus, if there’s a problem with the public water system, you won’t be affected! However, this benefit also offers a drawback, because when something goes wrong, you’re usually on your own. If the well pump, stops working, for instance, what do you do? Call John’s Plumbing & Pumps, Inc for a reliable plumber. We do well pump repairs and installation in Thurston County and we’ll see the problem fixed! 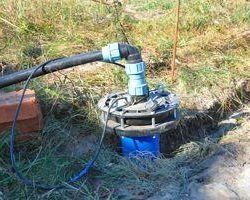 What Problems Occur as a Result of a Bad Well Pump? You could get no water from faucets. If your water stops working, go and check your breaker box first to see if it was tripped. If not, then you likely have a problem with your pump. It could be a simple piece that’s broken or the entire motor, and our plumbers will find it no matter what the cause. Low water pressure or sputtering water is another sign that you could be dealing with a well pump issue. Along with pulling up the water from your clean water source, the well pump also regulates the pressure so it comes out as expected. When it doesn’t, give us a call to get it fixed. Sometimes, the well pump might seem like it’s doing a good job, but the water it brings in is rusty or black. Obviously, this isn’t something that you’d want to drink! Discolored water could be a result of a bad well pump or it can also mean that your pipes should be inspected. We work on all kinds of plumbing in Thurston County! Along with well pumps and septic systems, we can work on city water plumbing systems and do commercial plumbing too! When your plumbing isn’t working as it should, it’s hard to concentrate on anything else. Fortunately, the crew at John’s Plumbing & Pumps knows just what to do in any situation. Even if we think that we know the problem, we always check to make sure that we’re right. Sometimes, what a symptom that might seem like it needs a well pump repair could just need rooter service instead. And we make sure to choose the most cost-effective option. With more than sixty years of experience working on plumbing, when you need well pump repairs or replacements in Thurston County or anything else, we’ll get it done! Call us today and let us be your plumbing solution.